Orange Peako Cambodian Regular Marijuana Seeds by Reeferman Seeds: Orange Peako Cambodian is a line Reeferman first began working in 1990. 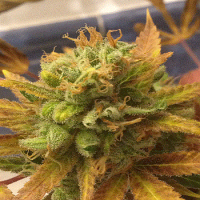 She was selected for her extreme Sativa effect, full bud structure and early finishing times. Different incarnations have been released over the years - this strain predates Reeferman Seeds going all the way back to the Prairie Fire Seed Company. The Cambodian lines were obtained in import bricks in the mid-late eighties that smelled like Orange Peako Tea and Moth Balls. This strains took Reeferman years to get to the form it’s in now. 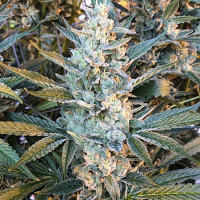 A pure Cambodian she flowers in 10-12 weeks depending on the Pheno-type selected. The effect is a knock out and the long lasting.